In stock. This is a velour finish fleece. It offers extra loft, densely-packed fibers and a smooth texture. Warmth without weight and bulk. Breathable and comfortable through a range of activates. 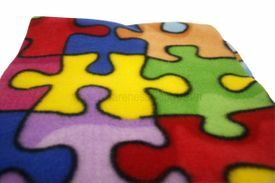 Velour Anti-spill Finish, double sided fleece. 100% polyester 58-60" in width. Washing Instructions: Machine Wash cold, No Bleach, Hang or tumble dry low. No ironing. Fabric is 1 yard x 58-60" wide.